1. Sending a bad resume! Sending a bad resume is a sure-shot way of getting off the wrong footing. Never send a resume that is not well structured. A resume with spelling and grammatical errors as well as poor formatting will leave a very bad first impression on the interviewers. It may even put off them so much that they may not even call you for the interview. This is something that you would really not risk doing. The biggest mistake that you can ever commit is to lie to your potential employer by mentioning qualifications, accolades or experience on your resume that you really do not have. You can further make the matter worse by lying during the interview. This will erode the trust. The interview panel is surely going to verify the information on your resume and run a strong background check to detect what is actually the truth. If they catch you lying, it will have a significantly negative impact. Even if it goes undetected initially, in the long run it will lead to dire consequences. 3. You don't you have a copy of your resume? Well, you shouldn't be there at all! Another mistake that a candidate can make is not carrying a copy of their resume, a notepad and a pen to their interview. These seemingly trivial things reflect the seriousness of the person or lack of it. Your lack of concern on such matters will make the interviewers feel that either you are unprepared for the interview or you have a very casual attitude towards it. This will definitely make them view you unfavorably. The fourth dreadful mistake that often candidates, especially inexperienced ones make is not checking their email used for job related communication or being available on phone. When a candidate does not respond to the emails that have been sent to them from the HR or do not appear available on phone calls made by them, it conveys your casualness and nonchalance towards the job. This is a big blunder that one can make especially when the job in question is time bound. You may miss out on opportunities that may have been ideal for you, just because you didn’t proactively manage the communication. 5. Punctuality is so overrated – is it? Showing up late for the interview or not turning up at all is another grave mistake that a candidate may make. It will reflect that you are unprofessional with no regard towards the time of others. It will be a waste of your time and efforts as well. Sometimes, you may even miss the interview slot altogether and may not even get the interview. 6. You don't know the mainstream business of your future employer?! 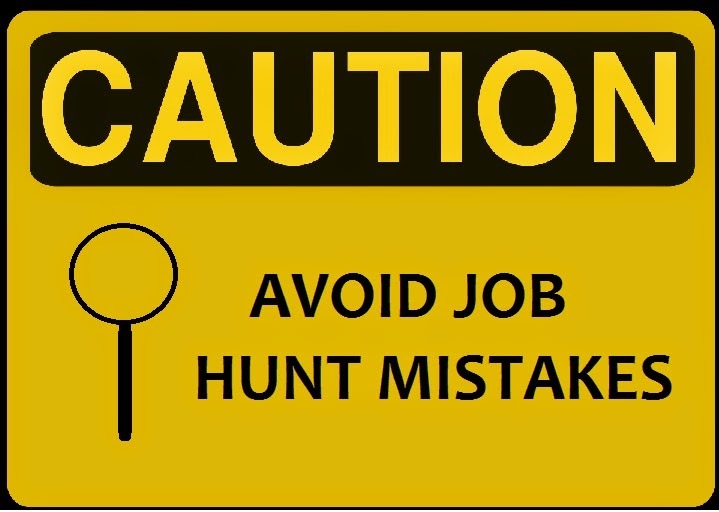 The mistake the almost kicks you out of the your interviewer's list of preferred candidate is not doing a proper research about the employer before appearing for the interview. It will again show that you lack genuine interest in the job. Taking time out to at least go through the company’s website and other publicly available information, is the bare minimum expectation any prospective employer will have. Dressing casually for the interview is also a serious mistake. You should always be dressed in formal wear that has been neatly ironed. Your attire reflects a part of your personality as well as portrays your professionalism. Casual dressing, too much makeup and other such elements will unnecessarily distract the interviewers from your skills and experience. Poor dressing will shift the focus from what you have to say to how you look. 8. "I am looking for a job change because I am attracted to the heavenly package you're offering. One of the most important question asked during an interview is the reason why you are looking forward to a job change. Not having a strong and valid reason is a huge mistake. Higher salary should not ever be stated as the sole reason for changing a job. It will leave a very negative impression on the interviewer. It is implicit that you may be aspiring for financial growth as a part of the change, but there should be more important reasons such as new and challenging role, better growth prospects, your specific interest in working for that employer and so on. Being genuine about those reasons will also give you a leg up. Have you changed 3 jobs in your four-year long career? Well, your potential employer would not be happy to know this. Without proper justification, they would think of you as someone who is fickle in their career choices and can’t be counted upon. Employers will hesitate in making you an offer because they may feel that you are not a worthwhile investment. So either bring stability in your work experience or try to come up with a satisfactory answer to deal with this toughest question. A diplomatic answer, or a an unsatisfactory answer stated in a low-confidence tone will make the interviewers feel that you lack commitment and show instability. 10. "I hate my boss because he is haughty, partial and interfering." Last but not the least, do not bad mouth your previous company or boss, as it shows lack of maturity and professionalism. No matter whether you love or hate your previous or current boss, kindly keep it to yourself. Even if your reason for switch is a bad company, work environment or a bad boss, tone it down and state it factually. Don’t use it as an opportunity to vent. While there is no substitute for good interview preparation, yet avoiding these simple mistakes during the hiring process will help you go much further in the interview process and may even lead to your dream job. Happy job hunting!! In the graduate level of management education is known as BBA, best colleges for bba in delhi concentrate on the low level development of their students which leads them to build strong management skills in them.